If you are a war-time veteran or the surviving spouse of a war-time veteran, there may be a benefit available to you from the federal government to help cover the costs of long-term care, — either at home or in a facility. The Veteran’s Aid and Attendance benefit, a non-service connected benefit, pays veterans up to $1,949 a month and their surviving spouses up to $1,056 a month toward the cost of long-term care. What follows is a break-down of the eligibility and qualification requirements for this benefit. If a veteran served during one of the periods mentioned above, and the veteran was discharged for any reason other than a dishonorable discharge, the veteran and/or his surviving spouse would be eligible for this benefit. As for qualification, the name of the benefit is a great place to start. 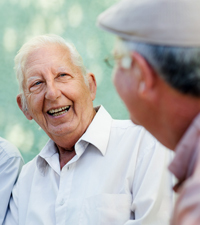 Aid and Attendance means the veteran or the surviving spouse must have a medical need that requires the aid and attendance of another human being for their daily activities, ranging from getting in and out of bed, toileting, personal hygiene, eating and cleaning. Along with the medical need, there must also be a financial need. There is no set limit on the assets a person can own and still qualify for the benefit because the primary purpose of the benefit is to reimburse the medical expenses associated with the veteran’s or surviving spouse’s medical need. If you know a veteran or a surviving spouse of a veteran, please pass this information along to them. Currently, only about 28% of those eligible for this benefit are receiving it. This percentage is so small because few people are aware of this benefit and, unfortunately, many veterans have been given inaccurate information about their eligibility/qualification. If you have any questions about the Aid and Attendance benefit, please call our office at 877.960.5233, and we will send you a free information packet about this valuable benefit. 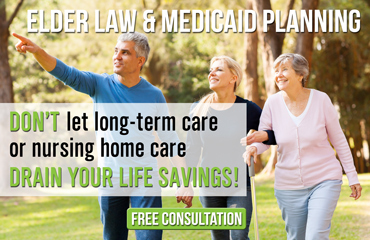 Michigan Elder Law Attorneys at The Elder Law Firm PC provide assistance in protecting your assets and protecting your family through Veterans Benefits and estate planning. Contact us by calling 877.960.5233 or by requesting a free consultation online here.